Thinking back to the 1st International Gracie Jiu Jitsu Federation Tournament back in the Summer of 2003, when one of our mutual friends, Gazzy Parman, introduced me to a very young and new Blue Belt competitor, Jeff Glover. I remember watching him in awe all day on Saturday watching him submit opponent after opponent with a no-time-limit format and then on Day 2 (Sunday) in the Absolute division competing for a Free Cruise, where I saw a “legal” slam nearly knock out my new friend under Rorion Gracie’s new Jiu Jitsu Event rules. I guess though, it might have been The Day a Grappling Legend Was Born – for sure it was the Day I’d never be able to forget the name Jeff Glover again. 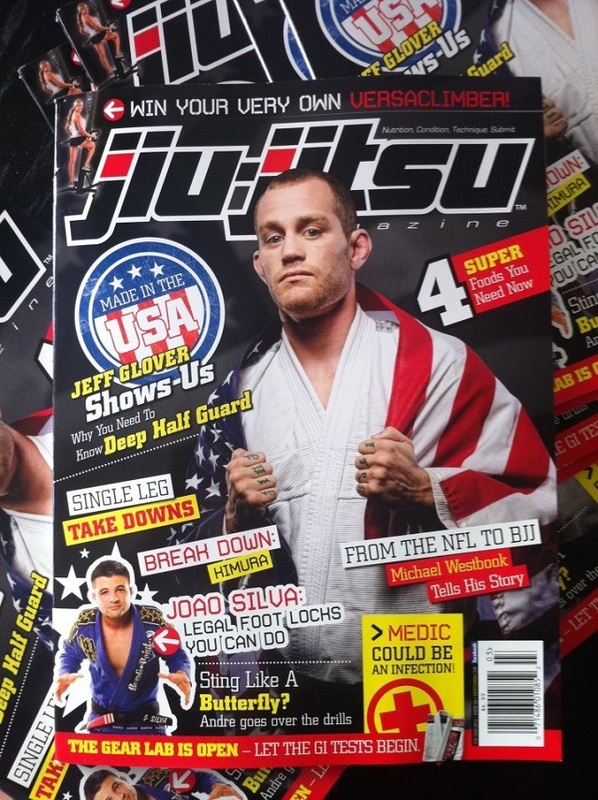 Like many of you, yesterday, I received Jiu Jitsu Magazine and proudly saw Jeff Glover gracing the front cover. Jeff Glover is a 27-Time Grapplers Quest champion and holds the best grappling record in Grapplers Quest history, losing only 4 times over 8 years of active competition, nearly 6 events nationwide per year. In 2009, Jeff Glover was signed to the UFC Fan Expo to compete in the first ever Grappling superfight in front of 60,000 fans live from Mandalay Bay in Las Vegas at Grapplers Quest – it was a dream come true, but that was Saturday, Jeff wanted to compete Friday too, winning his weight class and the Absolute Division in impressive fashion. In 2010, Jeff Glover released a great 6-DVD series with Budo Videos, Jeff Glover’s Deep Half Guard available here: http://www.budovideos.com/shop/customer/product.php?productid=29007&cat=&page=1 with several other titles already in production. *Nanny is my 84-year-old grandmother who’s watched Jeff Glover compete since the very beginning. She described his excitement level on the mats comparing him to “A young Mike Tyson style aggressive grappler, I Love Him!”.